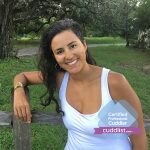 In this episode of Cuddlist Talks with Janet Trevino, we goes over the 5 essential cuddling hacks to make you a better person. These tips will allow you to over time, develop a more physical and intimate experience with and gain a better sense of who you are. In meditation and other sacred practices, as well as medical, know that breath is essential and really improves our health. Allowing your breath to go deeper and To improve who we are as people. We can slow down and develop this connection. With cuddling, there are these Micro Touches that we experience. They are gentle and subtle touches that we can’t experience just through message. When you are close with someone and feel them, you understand and right away that this person is living being. You can feel there heart beat from various parts of their body. Find someone’s heart beat and listen to it as if it were music. You will find something beautiful and rhythmic about it because it’s nature’s music. There are always going to be awkward moments. There are sounds that come out of the body. It happens! It’s part of who we are and it reminds us to laugh and to take ourselves a little less seriously.